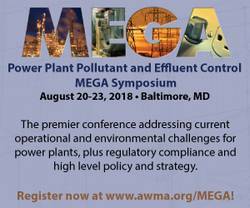 Held August 20-23, 2018, in Baltimore, MD, the 2018 MEGA Symposium combined the efforts of four key industry players: ICAC, EPA, NETL, and A&WMA. Building on the 20-year history as the power plant industryâ€™s leading technical conference for SOx, NOx, particulate, and mercury control, the symposium provided latest developments, policy changes, and operational experience to reliably manage compliance with air quality, solid waste, and discharge water quality requirements for fossil-fired power plants. New emphasis was added to include pollution control, emissions for gas-fired power plants, byproduct and effluent management, and solutions for end users. NOTE: Because the online version of these proceedings is only accessible by Web, after completing your purchase you will be contacted by e-mail--normally within a week--with the link and the copyright stipulations for usage. This product purchase cannot be cancelled or refunded once the link is provided to the customer.